Another of my early images taken with an 8" f/6 F=1200mm Newtonian that replaced my first scope - a 4.5" f/10 Newtonian. 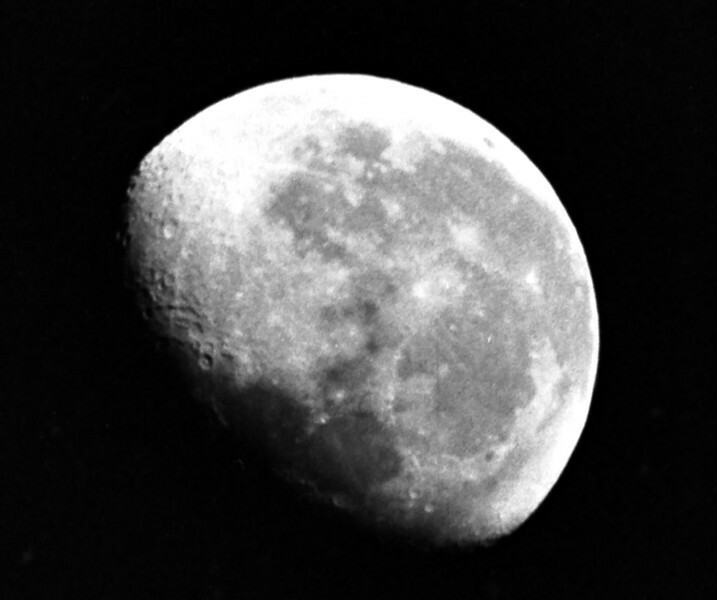 This was my first use of Kodak Tri-X 400ASA film to try some brighter deep-sky objects as well as the Moon. Camera Zenit-E 35mm SLR on 8" f/6 Newtonian prime focus, exposure unknown with Kodak Tri-X 400ASA film. Flim scanned using Canon MP980 MFP 20/09/2012. Post processed by Adobe Photoshop CS5.